Poor Badger Creations: The true meaning of Easter: home made resurrection eggs. The true meaning of Easter: home made resurrection eggs. This is NOT an original idea fro me. If your click HERE you can find that these eggs are being sold as kits all over the net and Christian stores. 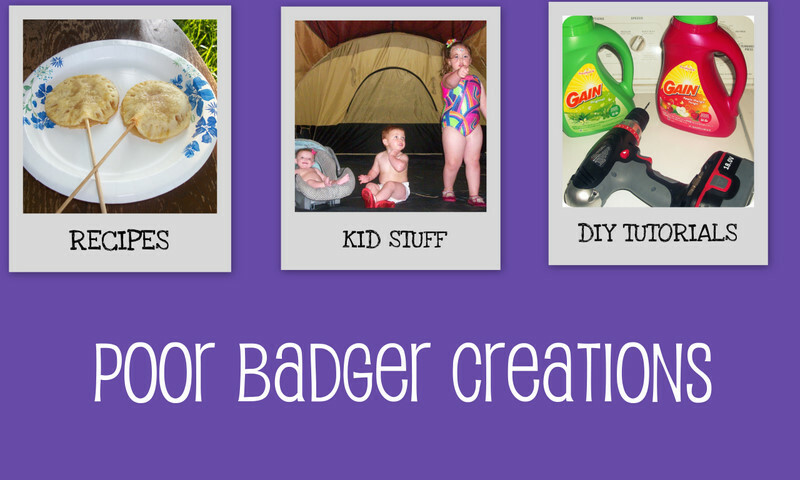 Well my friends, the goal of this crafty POOR badger is to do things on the cheap. So here is the step by step instructions for you to make your own resurrection eggs. This is an AWESOME craft for parents to teach their little ones that Easter has NOTHING to do with eggs and bunnies. 'And as they were eating, Jesus took the bread, and blessed it, and brake it, and gave it to the disciples, and said,Take, eat; this is my body. Then one of the twelve, called Judas Iscariot, went unto the chief priests,And said unto them, What will ye give me, and I will deliver him unto you? And they covenanted with him for thirty pieces of silver. *For this egg I just put a penny, but since the verse said silver you could use a nickel, dime, or play money. *For this egg I used some purple ribbon. Remember the idea is to spend hardly ANYTHING. If you have an old purple shirt or cloth use that. Worse case scenario, you could color a strip of paper purple. *This was a freebie, we walked down the road and found some pricky thorns. Beware with young kids though, they HURT! *I used some elastic embroider thread and masking tape to make mine. But you could use electrical tape and ribbon, or whatever. This is exactly why God made junk drawers! *I am the weird lady with hundreds of yards of ribbon, so it was a no brainer when it came to what to make the cross out of. Remember these have to fit in the little plastic eggs, so size is important. For this one, you could easily draw a cross on paper. And straightway one of them ran, and took a sponge, and filled it with vinegar, and put it on a reed, and gave him to drink. *This one made me nervous, I tore our house over looking for a sponge (we use wash rags and old cloths to clean). But thank God we painted not too long ago and used a sponge paint brush to do the trimming with. *This one I broke toothpicks in half and used a red marker to make 'blood'. And laid it in his own new tomb, which he had hewn out in the rock: and he rolled a great stone to the door of the sepulcher, and departed. And there you have it. Your own resurrections eggs and barely 2 bucks spent (you'll have to buy the plastic eggs if you don't have any with your Easter stuff). Lets show our kids that Easter is more than peeps, bunnies, and pastel colors (even though those are fun).